Want to learn more about the Pine Tree State Pledge? 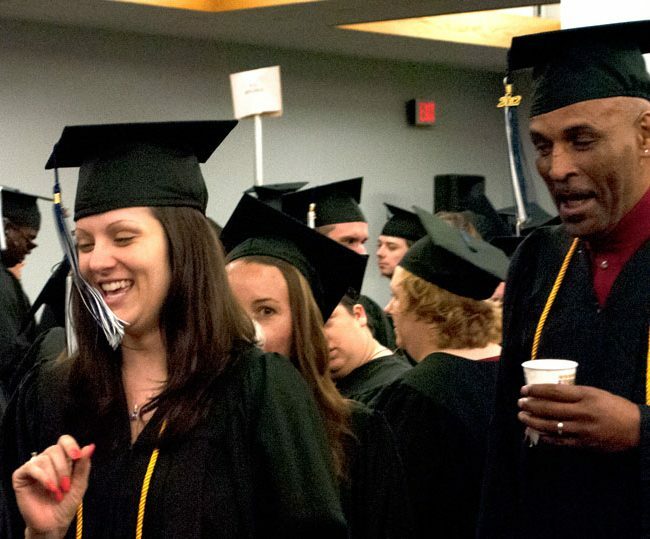 The University of Maine at Augusta is committed to providing affordable access to a university education, and help students manage the growing costs of a college education. To help ease the financial burden UMA offers The Pine Tree State Pledge. Through this tuition guarantee program, qualified and eligible entering in-state, full-time first-year students will not pay any out-of-pocket expenses for tuition and mandatory fees. This program is also available to new in-state full-time and part-time transfer students who have earned at least 30 transferable credits, and are new to the University of Maine System. New in-state full-time and part-time transfer students who have earned at least 30 transferable credits, and are not currently enrolled at a University of Maine System institution. New in-state, first-time full-time students. Must have met all entrance requirements and be regularly admitted to an associates degree or bachelor’s degree program. First-Year Students – 30 credits per aid year for a total of four years in a row, and maintain a cumulative GPA of 2.00 at the end of each aid year. Transfer Students Full-Time – 30 credits per aid year for a total of three years in a row, and maintain a cumulative GPA of 2.00 at the end of each aid year. Transfer Students Part-Time – 15 credits per aid year for a total of six years in a row, and maintain a cumulative GPA of 2.00 at the end of each aid year. Contact UMA Admissions at 1-877-862-1234. Students may use other grant funds and/or student loans to cover non-tuition expenses including textbooks/supplies, commuting, housing, and meals. Complete the UMA Application for Admission. *Funding for this program is limited, but award distribution will continue so long as it is available.